Location: Fort Sill, OK U.S.A.
Fort Sill is a major tank training and readiness facility needing a reliable, tough material to line the holding pond at their vehicle wash facility. 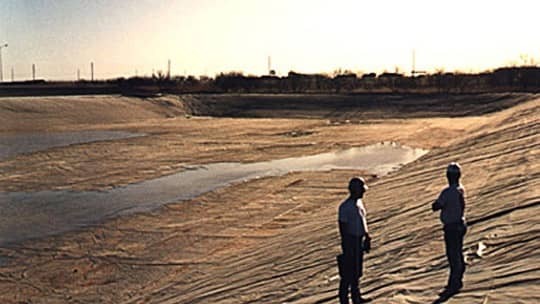 The liner had to withstand varied climatic conditions, a wide variety of contaminants, and require virtually no maintenance. XR-5® provided the solution and this 7-acre facility did not require a soil cover to protect it from thermal expansion-contraction induced by diurnal patterns.